We have reviewed the cytoskeleton, cytoskeleton pores and ionic translocation under lipids. We shall now look at this again, with specific attention to proteins, transporters and signaling. mediate cell–matrix and cell–cell adhesions. the adhesions that they form also have critical roles in cellular signal-transduction. the receptors bind to ligands in the extracellular matrix. structural support of tissue which is particularly important in connective tissues. including integrins and transmembrane proteoglycans. form large functional, localized multiprotein complexes. This review summarizes the roles and functions of integrins and extracellular matrix proteins in mechanotransduction. connecting the ECM to the actin cytoskeleton. combinations of α and β subunits. In mammals around 19 α and eight β subunits have been characterized. the signaling functions of the receptor. such as talin, tensin, and filamin. The extracellular domains of integrin receptors bind the ECM ligands. and nonmatrix proteins, – including growth factors. These can be categorized as insoluble molecules within the ECM, soluble molecules, and/or matrix-associated biochemicals, such as systemic hormones or growth factors and cytokines that act locally. The integrin receptor formed from the binding of α and β subunits is shaped like a globular head supported by two rod-like legs (Figure 1). Most of the contact between the two subunits occurs in the head region, with the intracellular tails of the subunits forming the legs of the receptor.6 Integrin recognition of ligands is not constitutive but is regulated by alteration of integrin affinity for ligand binding. For integrin binding to ligands to occur the integrin must be primed and activated, both of which involve conformational changes to the receptor. The integrins are composed of well-defined domains used for protein–protein interactions. The α-I domains of α integrin subunits comprise the ligand binding sites. X-ray crystallography has identified an α-I domain within the β subunit and a β propeller domain within the α subunit which complex to form the ligand-binding head of the integrin. The use of activating and conformation-specific antibodies also suggests that the β chain is extended in the active integrin. It has since been identified that the hybrid domain in the β chain is critical for integrin activation, and a swing-out movement of this leg activates integrins. 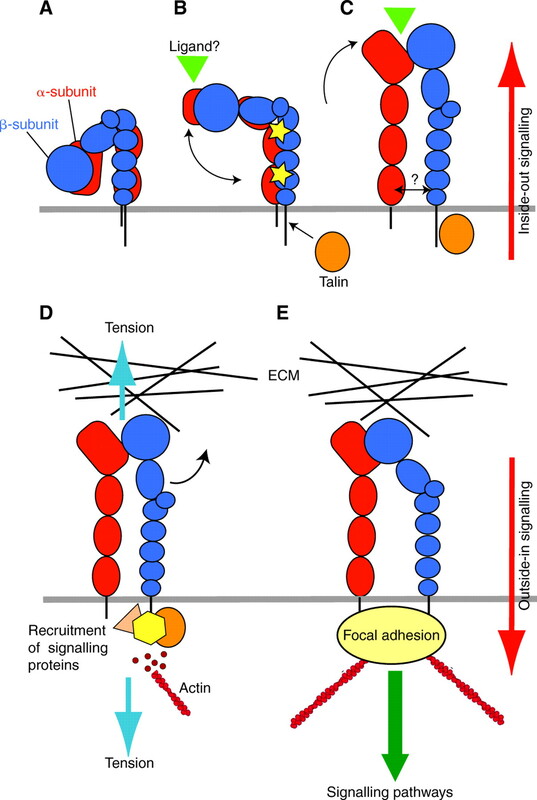 Figure Integrin binding to extracellular matrix (ECM). Conformational changes to integrin structure and clustering of subunits which allow enhanced function of the receptor. form around the short cytoplasmic tails of integrins. maintaining cell growth and survival. which is capable of responding to environmental stimuli efficiently. identified a network of 156 components linked together which can be modified by 690 interactions. inhibitory interactions between α and β subunit cytoplasmic tails. to actin and to cytoskeletal and signaling proteins. to signaling events and the cytoskeleton. One way in which integrin expression is important in genetic programming is in the fate and differentiation of stem cells. osteoblast-specific factor 2/core-binding factor α1. rather than increasing protein levels. 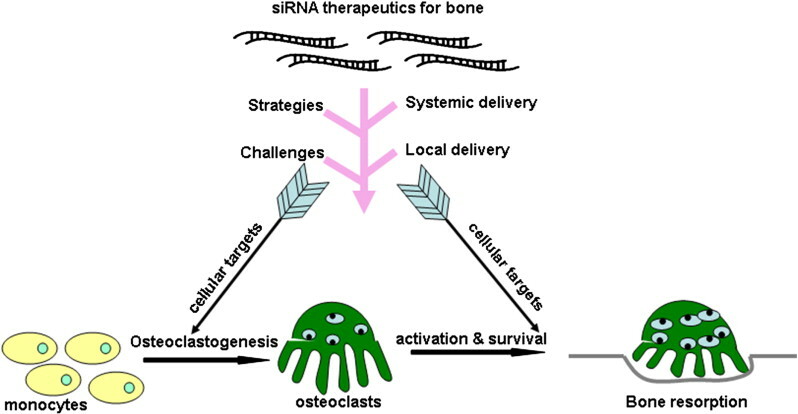 overexpression enhanced osteocalcin promoter activity. 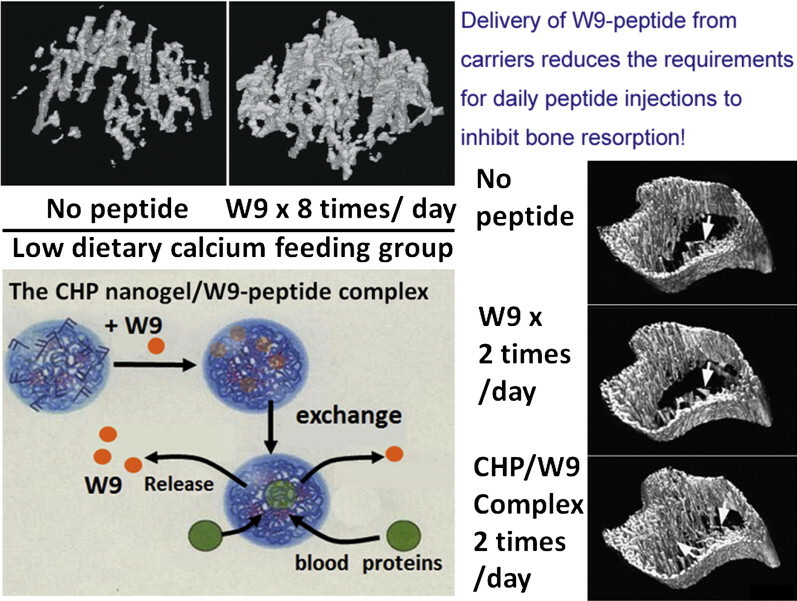 It has been suggested that integrin-type I collagen interaction is necessary for the phosphorylation and activation of osteoblast-specific transcription factors present in committed osteoprogenitor cells. A variety of growth factors and cytokines have been shown to be important in the regulation of integrin expression and function in chondrocytes. Mechanotransduction in chondrocytes occurs through several different receptors and ion channels including integrins. 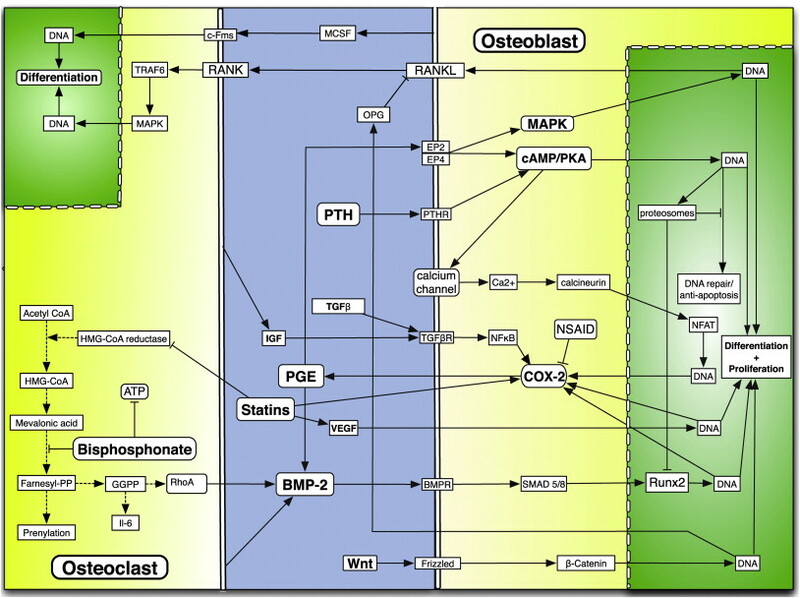 During osteoarthritis the expression of integrins by chondrocytes is altered, resulting in different cellular transduction pathways which contribute to tissue pathology. In normal adult cartilage, chondrocytes express α1β1, α10β1 (collagen receptors), α5β1, and αvβ5 (fibronectin) receptors. During mechanical loading/stimulation of chondrocytes there is an influx of ions across the cell membrane resulting from activation of mechanosensitive ion channels which can be inhibited by subunit-specific anti-integrin blocking antibodies or RGD peptides. Using these strategies it was identified that α5β1 integrin is a major mechanoreceptor in articular chondrocyte responses to mechanical loading/stimulation. Osteoarthritic chondrocytes show a depolarization response to 0.33 Hz stimulation in contrast to the hyperpolarization response of normal chondrocytes. The mechanotransduction pathway in chondrocytes derived from normal and osteoarthritic cartilage both involve recognition of the mechanical stimulus by integrin receptors resulting in the activation of integrin signaling pathways leading to the generation of a cytokine loop. Normal and osteoarthritic chondrocytes show differences at multiple stages of the mechanotransduction cascade (Figure 3). Early events are similar; α5β1 integrin and stretch activated ion channels are activated and result in rapid tyrosine phosphorylation events. 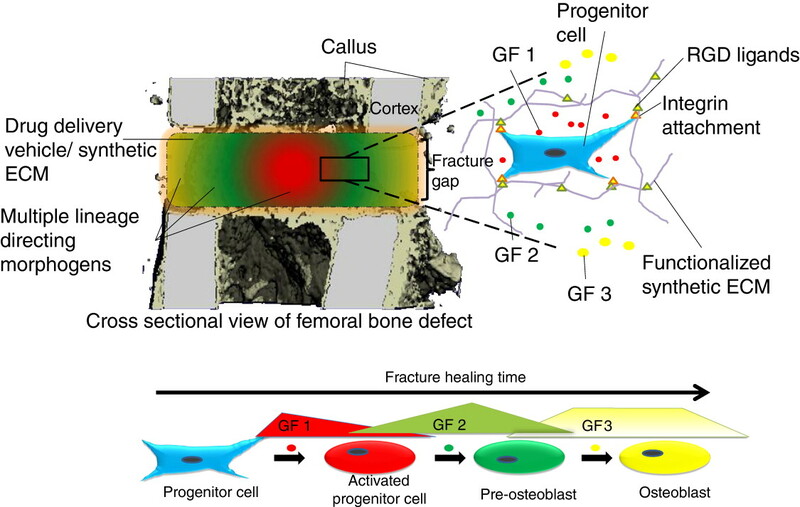 The actin cytoskeleton is required for the integrin-dependent Mechanotransduction leading to changes in membrane potential in normal but not osteoarthritic chondrocytes. Cell–matrix interactions are essential for maintaining the integrity of tissues. An intact matrix is essential for cell survival and proliferation and to allow efficient mechanotransduction and tissue homeostasis. 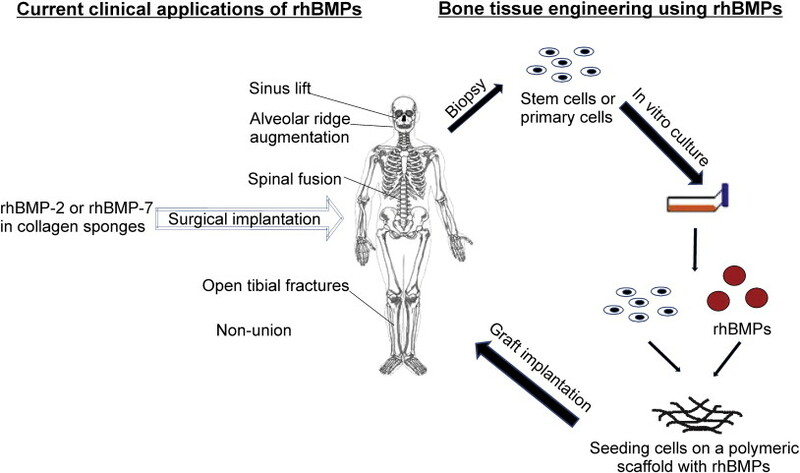 Cell–matrix interactions have been extensively studied in many tissues and this knowledge is being used to develop strategies to treat pathology. This is particularly important in tissues subject to abnormal mechanical loading, such as musculoskeletal tissues. 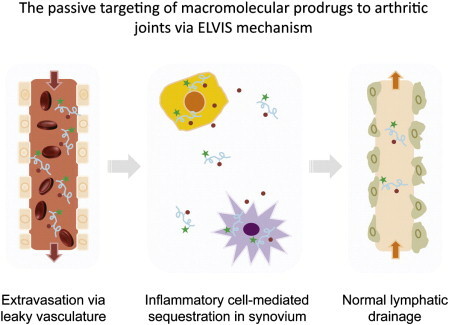 Integrin-ECM interactions are being used to enhance tissue repair mechanisms in these tissues through differentiation of progenitor cells for in vitro and in vivo use. Knowledge of how signaling cascades are differentially regulated in response to physiological and pathological external stimuli (including ECM availability and mechanical loading/stimulation) will enable future strategies to be developed to prevent and treat the progression of pathology associated with integrin-ECM interactions. (4) a large-scale repositioning response with prolonged (>1 minute) stress. the later adaptive response was not. by inhibiting Src tyrosine kinases. All adaptive responses were suppressed by cooling cells to 4°C to slow biochemical remodeling. Thus, cells use multiple mechanisms to sense and respond to static and dynamic changes in the level of mechanical stress applied to integrins. Their involvement in a range of pathological processes also highlights their significance as therapeutic targets and the importance of understanding the molecular basis of their function They are defined by their motor domains that contain both the microtubule (MT) and ATP binding sites. Three ATP binding motifs—the P-loop, switch I, switch II–are highly conserved among kinesins, myosin motors, and small GTPases. They share a conserved mode of MT binding such that MT binding, ATP binding, and hydrolysis are functionally coupled for efficient MT-based work. The interior of a cell is a hive of activity, filled with proteins and other items moving from one location to another. A network of filaments called microtubules forms tracks along which so-called motor proteins carry these items. Kinesins are one group of motor proteins, and a typical kinesin protein has one end (called the ‘motor domain’) that can attach itself to the microtubules. The other end links to the cargo being carried, and a ‘neck’ connects the two. When two of these proteins work together, flexible regions of the neck allow the two motor domains to move past one another, which enable the kinesin to essentially walk along a microtubule in a stepwise manner. Atherton et al. use a technique called cryo-electron microscopy to study—in more detail than previously seen—the structure of the motor domains of two types of kinesin called kinesin-1 and kinesin-3. Images were taken at different stages of the cycle used by the motor domains to extract the energy from ATP molecules. Although the two kinesins have been thought to move along the microtubule tracks in different ways, Atherton et al. find that the core mechanism used by their motor domains is the same. When a motor domain binds to the microtubule, its shape changes, first stimulating release of the breakdown products of ATP from the previous cycle. This release makes room for a new ATP molecule to bind. The structural changes caused by ATP binding are relatively small but produce larger changes in the flexible neck region that enable individual motor domains within a kinesin pair to co-ordinate their movement and move in a consistent direction. This mechanism involves tight coupling between track binding and fuel usage and makes kinesins highly efficient motors. ATP-powered motors, important for multiple, essential cellular functions. How microtubule binding stimulates their ATPase and controls force generation is not understood. To address this fundamental question, we visualized microtubule-bound kinesin-1 and kinesin-3 motor domains at multiple steps in their ATPase cycles—including their nucleotide-free states—at ∼7 Å resolution using cryo-electron microscopy. All our reconstructions have, as their asymmetric unit, a triangle-shaped motor domain bound to an αβ-tubulin dimer within the MT lattice (Figure 1). The structural comparisons below are made with respect to the MT surface, which, at the resolution of our structures (∼7 Å, Table 1), is the same (CCC > 0.98 for all). As is well established across the superfamily, the major and largely invariant point of contact between kinesin motor domains and the MT is helix-α4, which lies at the tubulin intradimer interface (Figure 1C, Kikkawa et al., 2001). However, multiple conformational changes are seen throughout the rest of each domain in response to bound nucleotide (Figure 1D). Below, we describe the conformational changes in functionally important regions of each motor domain starting with the nucleotide-binding site, from which all other conformational changes emanate. the conformation and flexibility of which is determined by MT binding and motor nucleotide state. conformational changes in helix-α6 control movement of the neck linker. A key conformational change in the motor domain following Mg-ATP binding is peeling of the central β-sheet from the C-terminus of helix-α4 increasing their separation (Figure 3—figure supplement 2); this is required to accommodate rotation of helix-α6 and consequent neck linker docking (Figure 3B–E). Peeling of the central β-sheet has previously been proposed to arise from tilting of the entire motor domain relative to static MT contacts, pivoting around helix-α4 (the so-called ‘seesaw’ model; Sindelar, 2011). Specifically, this model predicts that the major difference in the motor before and after Mg-ATP binding would be the orientation of the motor domain with respect to helix-α4. Kinesin mechanochemistry and the extent of mechanistic conservation within the motor superfamily are open questions, critical to explain how MT binding, and ATP binding and hydrolysis drive motor activity. Our structural characterisation of two transport motors now allows us to propose a model that describes the roles of mechanochemical elements that together drive conserved MT-based motor function. Model of conserved MT-bound kinesin mechanochemistry. Loop11/N-terminus of helix-α4 is flexible in ADP-bound kinesin in solution, the neck linker is also flexible while loop9 chelates ADP. MT binding is sensed by loop11/helix-α4 N-terminus, biasing them towards more ordered conformations. (3) allows neck linker docking and biases movement of the 2nd head towards the MT plus end. prime the catalytic site for ATP binding. neck linker docking towards the microtubule plus end. distinctive properties of each motor. reveal the critical mechanistic contribution of the microtubule interface. control the barrier function of endothelium. phosphorylation events control the function of VE-cadherin. This review summarizes the role of VE-cadherin phosphorylation in the regulation of endothelial cell–cell junctions and highlights how this affects vascular permeability and leukocyte extravasation. which takes place primarily in postcapillary venules. However, when severe, inflammation may result in dysfunction of the endothelial barrier in various parts of the vascular tree, including large veins, arterioles and capillaries. Dysregulated permeability is observed in various pathological conditions, such as tumor-induced angiogenesis, cerebrovascular accident and atherosclerosis. the transcellular and paracellular pathways. vesicular transport systems, fenestrae, and biochemical transporters. thereby regulates traffic across the intercellular spaces between endothelial cells. are of central importance for the initiation and stabilization of cell–cell contacts. Although multiple adhesion molecules are localized at endothelial junctions, blocking the adhesive function of VE-cadherin using antibodies is sufficient to disrupt endothelial junctions and to increase endothelial monolayer permeability both in vitro and in vivo. Like other cadherins, VE-cadherin mediates adhesion via homophilic, calcium-dependent interactions. to the C-terminus of VE-cadherin. both associate with the actin binding protein α-catenin. α-catenin cannot bind to both β-catenin and actin simultaneously. indicating that α-catenin might function as a molecular switch regulating cadherin-mediated cell–cell adhesion and actin assembly. link the E-cadherin–catenin complex to the actin cytoskeleton. the actin cytoskeleton in endothelial cells. Next to β-catenin and plakoglobin, p120-catenin also binds directly to the intracellular tail of VE-cadherin. p120-catenin promotes VE-cadherin surface expression and stability at the plasma membrane. with the endocytic membrane trafficking machinery. to regulate actin cytoskeleton organization and membrane trafficking. lack either the β-catenin, plakoglobin or p120 binding regions reduce the strength of cell–cell adhesion. resulted in an increased permeability of the endothelial monolayer. role of tyrosine phosphorylation in the control of VE-cadherin-mediated cell–cell adhesion. Correlates with the weakening of cell–cell adhesion. when intercellular junctions are stabilized. increase tyrosine phosphorylation of various components of the cadherin–catenin complex. through dissociation of catenins from the cadherin. However, tyrosine phosphorylation of VE-cadherin is required for efficient transmigration of leukocytes. a more active role in the transmigration process. Regulation of the integrity of endothelial cell–cell contacts by phosphorylation of VE-cadherin. Notes: A) Permeability-inducing agents such as thrombin, histamine and VEGF, induce tyrosine phosphorylation (pY) of VE-cadherin and the associated catenins. Although the specific consequences of catenin tyrosine phosphorylation in endothelial cells are still unknown, VE-cadherin tyrosine phosphorylation results in opening of the cell–cell junctions (indicated by arrows) and enhanced vascular permeability. How tyrosine phosphorylation affects VE-cadherin adhesiveness is not yet well understood; disrupted binding of catenins, which link the cadherin to the actin cytoskeleton, may be involved. VEGF induces phosphorylation of VE-cadherin at specific residues, Y658 and Y731, which have been reported to regulate p120-catenin and β-catenin binding, respectively. 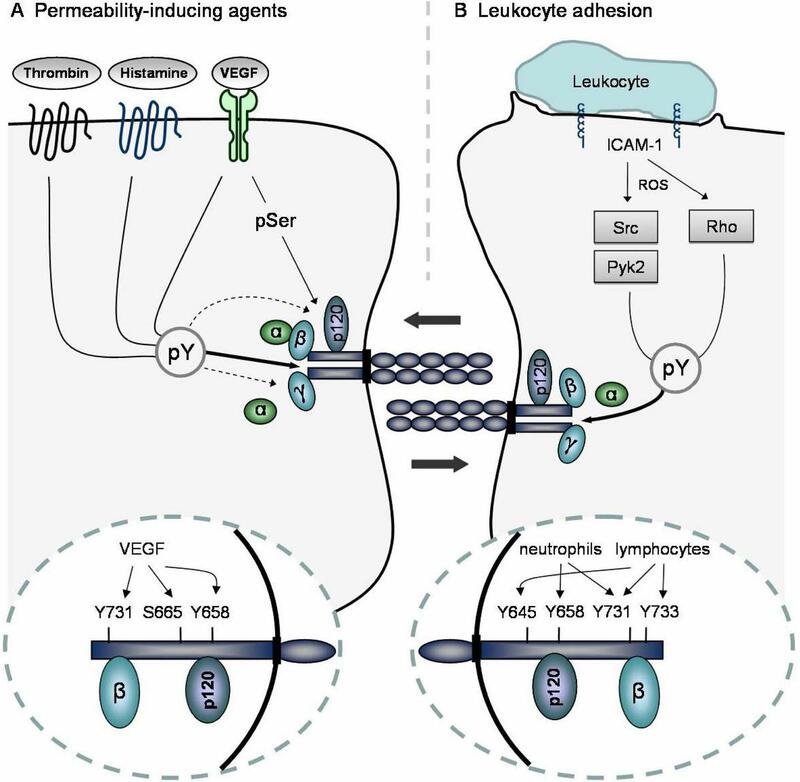 Moreover, VEGF stimulation results in serine phosphorylation (pSer) of VE-cadherin, specifically at residue S665, which leads to its endocytosis. B) Adhesion of leukocytes to endothelial cells via ICAM-1 increases endothelial permeability by inducing phosphorylation of VE-cadherin on tyrosine residues. Essential mediators, such as the kinases Pyk2 and Src, and signaling routes involving reactive oxygen species (ROS) and Rho, have been shown to act downstream of ICAM-1. Different tyrosine residues within the cytoplasmic domain of VE-cadherin are involved in the extravasation of neutrophils and lymphocytes, including Y658 and Y731. (β: β-catenin, α: α-catenin, γ: γ-catenin/plakoglobin). N-glycosylation of E-cadherin affected the molecular organization of AJs and their cytoskeletal interactions. V13/β-catenin complexes preferentially interacted with PP2A and with the microtubule motor protein dynein. increased association of PP2A with V13-containing AJs promoted their tethering to microtubules. mediated the interaction of AJs with the actin cytoskeleton. N-glycosylation driven changes in the molecular organization of AJs were physiologically significant because transfection of V13 into A253 cancer cells, lacking both mature AJs and tight junctions (TJs), promoted the formation of stable AJs and enhanced the function of TJs to a greater extent than wild-type E-cadherin. the assembly of distinct β-catenin- and γ-catenin-containing scaffolds that impact the interaction with different cytoskeletal components. self-generated electrical stimuli from specialized cardiomyocytes. by sympathetic and parasympathetic activity. depend on their highly evolved and specialized cytoskeletal apparatus. affect the ability of the cell to compensate at both functional and structural levels. the myocardium becomes increasingly susceptible to altered electrical activity leading to arrhythmogenesis. and, I will discuss the future impact of new data on molecular cardiology research and clinical practice. both of which are common causes of sudden cardiac death (SCD). severe left ventricular chamber dilation such as in DCM can have left bundle branch block (LBBB), while right bundle branch block (RBBB) is more characteristic of right ventricular failure. LBBB and RBBB have both been repeatedly associated with AV block in heart failure. that the shortening of the action potential duration contributes to the improved contractile performance after LVAD support. Despite the increasing use of LVAD supporting either continuous or pulsatile blood flow in patients with severe HF, the benefit of this treatment in dealing with the risk of arrhythmias is still controversial. employment of LVAD significantly improved survival rate and the quality of life, in comparison to optimal medical management. HF was associated with a relatively high incidence of ventricular arrhythmias associated with QTc interval prolongation. while no effect was observed on the development of polymorphic ventricular tachycardia (PVT)/ventricular fibrillation (VF). which ultimately leads to altered ion channel localization, and subsequent action potential and conduction alterations. ion channels are mainly localized. 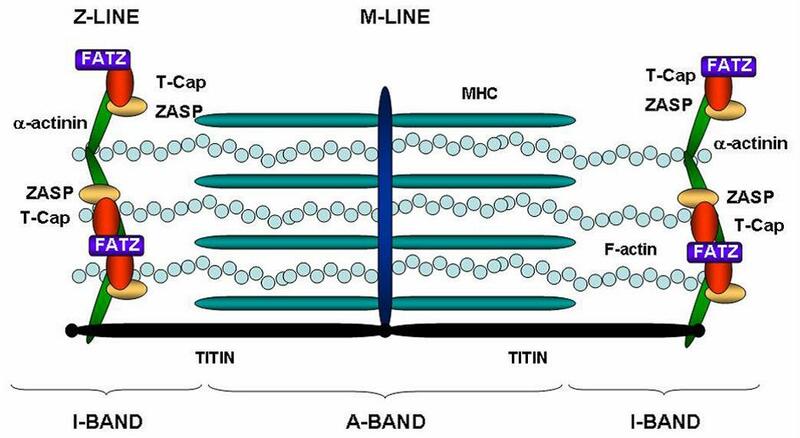 telethonin (T-Cap), which localizes at the Z-line and is also part of titin sensor machinery (Figure 1). Z-line components through the family of the telethonin-binding proteins of the Z-disc, FATZ, also known as calsarcin and myozenin. determines the mechanical plasticity of the cell, enabling it to complete and re-initiate each contraction-relaxation cycle. the passive force during diastole and for the restoring force during systole, and (titin). in skeletal and cardiac muscle (Figure 1). found in the alternatively spliced exons 4 and 6.
to bind to the FATZ (calsarcin) family of Z-disc proteins (Figure 1). spectrin-like repeats (R3–R4) of α-actinin-2, the major component of the Z-line and a pivotal F-actin cross-linker (Figure 1). The diagram illustrates the sarcomeric structure. 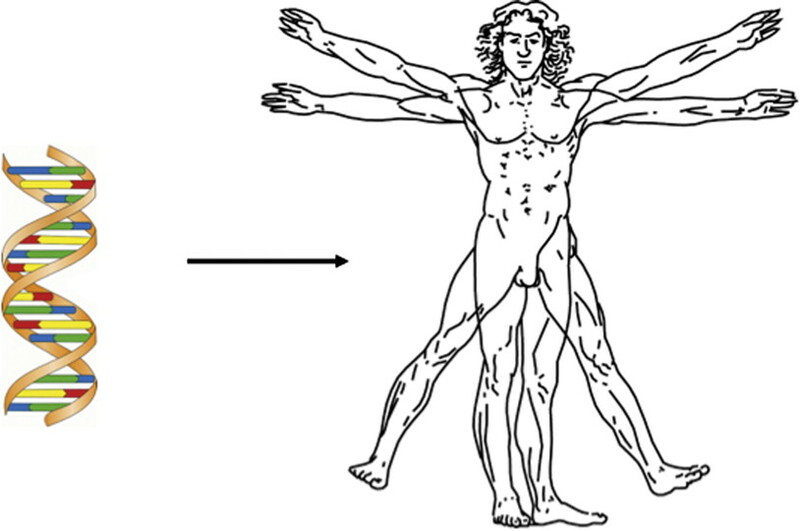 The Z-line determines the boundaries of the contractile unit, while Titin connects the Z-line to the M-line and acts as a functional spring during contraction/relaxation cycles. causing an imbalance in cardiac ionic homeostasis that will trigger arrhythmogenesis. cytoskeletal interactions in regulating ion channels. for the maintenance of normal Na+ channel function. slowed current decay without affecting steady-state voltage-dependent availability or recovery from inactivation. These data were the first to support a role for the cytoskeleton in cardiac arrhythmias. the voltage-gated K+ channel 1.5 (Kv1.5), (Figure 2). in association with connexin and N-cadherin. a massive increase in ionic and gating IK+ currents. This was prevented by pre-incubation with phalloidin, an F-actin stabilizing agent. In addition, the Z-line protein telethonin binds to the cytoplasmic domain of minK, the beta subunit of the potassium channel KCNQ1 (Figure 2). 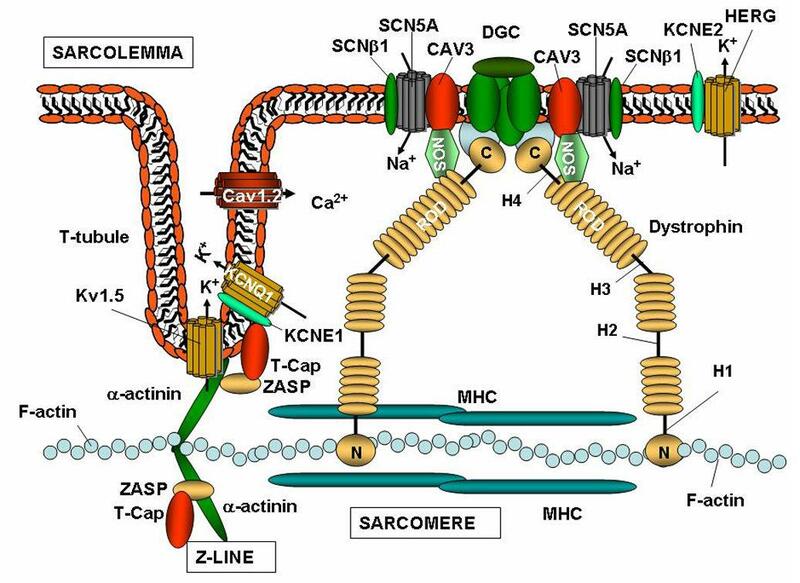 The figure illustrates the interactions between the ion channels on the sarcolemma, and the sarcomere in cardiac myocytes. Note that the Z-line is connected to the cardiac T-tubules. The diagram illustrates the complex protein-protein interactions that occur between structural components of the cytoskeleton and ion channels. The cytoskeleton is involved in regulating the metabolism of ion channels, modifying their expression, localization, and electrical properties. The cardiac sodium channel Nav1.5 associates with the DGC, while potassium channels such as Kv1.5, associate with the Z-line. the plasma membrane or other sub-cellular compartments. at their N-terminus to form stable Kvα/β hetero-oligomeric channels. Therefore, altered expression or mutations in Kvβ subunits could cause abnormal ion channel transport to the cell surface, thereby increasing the risk of cardiac arrhythmias. that is associated with LQTS in animal models and humans. alter sodium channel trafficking due to loss of ankyrin-B localization at the Z-line/transverse (T)-tubules. Reduced levels of ankyrin-B at cardiac Z-lines/T-tubules were associated with the deficiency of ankyrin-B-associated proteins such as Na/K-ATPase, Na/Ca exchanger (NCX) and inositol-1, 4, 5-trisphosphate receptors (InsP3R). the cysteine-rich (CR) C-terminus domain ensures its connection to the sarcolemma (Figure 2). rigid spectrin-like repeats and four hinge portions (H1–H4) that determine the flexibility of the protein. Dystrophin possesses another F-actin binding domain in the Rod domain region, between the basic repeats 11- 17 (DysN-R17). regulation of ion channel function. thereby linking all these molecules to the dystrophin complex (Figure 2). sarcolemma of fast type II fibers. postsynaptic membrane of the neuromuscular junctions. modulating cardiac remodeling during heart failure. caveolin-3 binds the Na+/Ca2+ exchanger, Nav1.5 and the L-type Ca2+ channel as well as nNOS and the DGC (Figure 2). Although ankyrin-B is the only protein found mutated in patients with primary arrhythmias, other proteins such as caveolin-3 and the syntrophins if mutated may alter ion channel function. between cytoskeletal proteins can directly or indirectly alter ion channel function. Rhythm alterations can develop as a secondary consequence of myocardial structural abnormalities or as a result of a primary defect in the cardiac electric machinery. The sarcomere, which represents the contractile unit of the myocardium not only generates the mechanical force necessary to exert the pump function, but also provides localization and anchorage to ion channels. Alpha-actinin-2, and telethonin, two members of the Z-line scaffolding protein complex in the striated muscle associate with the potassium voltage-gated channel alpha subunit Kv1.5 and the beta subunit KCNE1 respectively. Mutations in KCNE1 have previously been associated with the development of arrhythmias in LQTS subjects. Mutations in both alpha-actinin-2, and telethonin were identified in individuals with cardiomyopathy. The primary defect is structural leading to ventricular dysfunction, but the secondary consequence is arrhythmia. Ion channel subunits such as Kvβ enhance Kv1.x ion channel presentation on the sarcolemma. The α subunits of the Kv1.x potassium channels can be shuttled in a Kvβ-independent manner through specific sequence motif at Kv1.x protein level. In addition, cytoskeletal proteins such as ankyrin-G bind Nav1.5 and are involved in the sodium channel trafficking. Another member of the ankyrin family, ankyrin-B was found mutated in patients with LQTS but the pathological mechanism of ankyrin-B mutations is still obscure, although the sodium current intensity is dramatically reduced. The sarcolemma contains a wide range of ion channels, which are responsible for the electrical propagating force in the myocardium. The DGC is a protein complex, which forms a scaffold for cytoskeletal components and ion channels. Caveolin-3 and syntrophins associate with Nav1.5, and are part of the DGC. Syntrophins can directly modulate Nav1.5 channel function. The role of the cytoskeleton in ion channel function has been hypothesized in the past, but only recently the mechanism underlying the development of arrhythmias in structurally impaired myocardium has become clearer. The recently acknowledged role of the cytoskeleton in ion channel function suggests that genes encoding cytoskeletal proteins should be regarded as potential candidates for variants involved in the susceptibility to arrhythmias, as well as the primary target of genetic mutations in patients with arrhythmogenic syndromes such as LQTS and Brugada syndrome. Studies of genotype-phenotype correlation and and patient risk stratification for mutations in cytoskeletal proteins will help to tailor the therapy and management of patients with arrhythmias. Transcription is a cellular process by which genetic information from DNA is copied to messenger RNA for protein production. But anticancer drugs and environmental chemicals can sometimes interrupt this flow of genetic information by causing modifications in DNA. Chemists at the University of California, Riverside have now developed a test in the lab to examine how such DNA modifications lead to aberrant transcription and ultimately a disruption in protein synthesis. The chemists report that the method, called “competitive transcription and adduct bypass” or CTAB, can help explain how DNA damage arising from anticancer drugs and environmental chemicals leads to cancer development. Study results appeared online in Nature Chemical Biology on Aug. 19. Wang explained that the CTAB method can be used also to examine various proteins involved in the repair of DNA. One of his research group’s goals is to understand how DNA damage is repaired—knowledge that could result in the development of new and more effective drugs for cancer treatment. “This, however, will take more years of research,” Wang cautioned. His lab has a long-standing interest in understanding the biological and human health consequences of DNA damage. The current research was supported by the National Cancer Institute, the National Institute of Environmental Health Sciences and the National Institute of Diabetes and Digestive and Kidney Diseases of the National Institutes of Health. Wang was joined in the research by UC Riverside’s Changjun You (a postdoctoral scholar and the research paper’s first author), Xiaoxia Dai, Bifeng Yuan, Jin Wang and Jianshuang Wang; Philip J. Brooks of the National Institute on Alcohol Abuse and Alcoholism, Md. ; and Laura J. Niedernhofer of the University of Pittsburgh School of Medicine, Penn. Next, the researchers plan to use CTAB to investigate how other types of DNA modifications compromise transcription and how they are repaired in human cells.